I was sent the new album Earthlight-Music For Documentary & Film by the multi-talented Tony Patterson a few weeks ago with a list of instructions for its consumption. Many of Tony’s fans and followers know him as the front man for Re-Genesis and more recently So-Gabriel; however, Mr Patterson is best described as multi-dimensional with regard to his musical direction. For those of you expecting an album that continues from where his recent “All The World” EP left of then you may be left a little wanting. The first time I ever heard music by Tony Patterson was the utterly spellbinding album RA. I had previously seen Tony sing and play flute with Re-Genesis performing The Lamb Lies Down On Broadway. It was then that I realised that he was a musician with many strings to his bow and touched by many influences. It will come as no surprise then that many well-known pieces adorning tv adverts and the like were written and recorded by Tony Patterson. Earthlight-Music For Documentary And Film has not been created as library music for the afore mentioned applications, it has lovingly been constructed meticulously with feeling and the want to demonstrate another side to Tony Patterson’s multi-faceted musical personality. How to describe this new venture then? I would describe it as ambient. Quite a departure from Tony’s previous work and something I found interesting and, tranquil and instantly accessible. I think the phrase chill-out may spring to mind with many listeners though I much prefer ambient myself. It was suggested that I listened to Earthlight via headphones under the effect of low light etc. However, having a very full schedule lately I resorted to listening whilst travelling to and from work in the car. Not at all the ideal environment for such music, however, for reasons that will be explained later many of the pieces throughout the album became quite poignant whilst listened to in this way. “Stormchaser” and Nature’s Way” begin this musical document in a grand style. Utilising the timbre and sumptuous textures of an orchestra (something that Tony is passionate about) it reminded me of the drama and urgency created so beautifully at the beginning of the first batman movie. After listening to these two wonderful mini scores the pace becomes much slower, quieter and atmospheric. “December Skies” glassy and holographic soundscape really does represent the cold edge of winter air very well and sets the tone for the ensuing “Nightseeker” which continues the tranquillity almost sleepy nature of the album. A slightly more American feel is invoked by the inclusion of a Flugel horn, something I think lovers of William Orbit may find themselves entranced by. “Into The Night” is a perfect continuation of this theme utilising sounds first explored by Yello to great effect. “Consequence” demonstrates Tony Patterson’s immense talent for getting the strings on his albums to sound damned near perfect. A talent envied by many and seldom matched. No doubt brought about with his close work with the orchestra. In a world where a myriad of string software packages and sounds reside Tony manages to get it right every time. This is evident elsewhere on the album on my favourite piece “Discovery”. Giving the impression of space travel “Discovery “exudes Tony Patterson’s love of the late John Barry reminding me of the space sequences in Moonraker. Truly wonderful stuff! I would describe this divine all too short piece as an oasis of serenity. The penultimate piece on the album “Age Of Reason” heralds the reprise of the opening track “Stormchaser” and it’s aggressively bowed string section and some eerie vocal exploits by session gal Shirley Ware. The cello’s adding a sense of drama to the occasion before concluding with the metronomic finale “Skyward”. The stark electronically percussive pulse and special synth tones fade into infinity giving the feeling of a soul ascending. Thought provoking and soothing, “Skyward terminates Tony Patterson’s richest and ultimately satisfying pallets of musical colour and shades to date. Music For Documentary And Film. Yes I would agree. Set any of the pieces from Earthlight to something like the recent BBC natural history series “The Frozen Planet” and they will fit like hand in glove. However, my recent exploits whilst listening to Earthlight within the confines of my car made me view the documentary of life going on all around me. Whilst travelling through fog laden streets one dark December morning, Pieces like “Slow Waters” and “Colours” acted as a score for the bleak happenings outside. On one occasion I was made to reflect about better times and also the plight of others as they trudged through the freezing cold fog in their work attire. Whilst on first listening Earthlight is instantly enjoyable. On further exploration it becomes multifunctional. Whilst displaying atmospheric ambience that can invoke many emotions depending on mood and method of playback, Earthlight does what it says on the tin, although I happen to think it represents more than that. In many ways it reflects many sides of the composers own personality, passion and deft of hand. Earthlight-Music For Documentary And Film will be available to download from I-Tunes from January 30th 2012 price £6.99. A few days after we posted our review of the Samurai Of Prog album Undercover, we received an email from drummer/multi-instrumentalist Kimmo Porsti who played extensively on the SOP project. He informed us of another project he is involved in called Paidarion. A few days later we received a delivery from Finland of the newly released Paidarion album “Behind The Curtains”. Evident from the outset by merely observing the artwork through the shrink wrap that time money and effort has been spent on the presentation alone. Tearing off the wrapping and flicking through the booklet really is inspiration enough to get the disc into the player and discover if it does what it says on the tin. Well, it does! Elaborate notes throughout the booklet inform of band members and history, credits and of course the all-important synopsis behind the concept. A concept I must confess to not fully understanding even after reading it on more than a few occasions. Although “Behind The Curtains” is very much a prog album it in many ways defies categorisation. The nearest I can think of is prog with a jazz edge. With the exception of Elina Hautakoski’s silky smooth vocal contributions this album may well appeal to all those who miss new output by Camel. Everything points the way to life in the circus and of one particular individual within the organisation. The songs seem to reflect this throughout the whole of the CD starting with the title song “Behind The Curtain” (song For Michael). Dark keyboard drones give way to the bass virtuosity of Jan-Olof-Strandberg who not only plays 4,5 and 6 string bass guitars throughout the album composed this great opener which in my opinion wouldn’t be out of place in a movie soundtrack. Smooth, lilting, and beautifully put together “Behind The Curtain” sets the standard for the rest of the compositions. “A Small Wish” has to be one of the many highlights of the album blending hectic prog time changes with Syro Gyra type horns courtesy of Risto Salmi with his tenor and soprano sax licks. This continues into “Trapeze” where upon things take on an almost George Benton feel. Not for too long though, Jaan Jaahans Andy latimer-like guitar break the pace for a short interlude whilst keyboards and sax really hammer home a powerful climax before the album takes a Tarrantino twist to the proceedings. “A Springtime Meadow” and “A Vertical Rope” allow Elina Hautakoski to display her jazz diva vocal talents. Whilst at first it may seem too much of a departure from the rest of the album these songs really do work, and the contrasting effect prevents the album from being an all-out, in your face barrage of intense prog thereby making the whole event appeal to a wider audience. Listening to the album over a protracted period it becomes evident that all musicians involved are playing for the sheer joy of it and the quality unearthed in every song is there in spades. The keyboard skills of Kimmo Tapanainen are highlighted on “Leap Into The Unknown” featuring a proper church organ and flows seamlessly into “A Rose In The Sun” whereupon once again many comparisons to prog legends camel can be made. Elina Hautakoski singing of the song “Paidarion” Whets the appetite for exploring the storyline behind the album such is the clarity of her delivery and Risto Salmi’s sax exploits hark back to the early Dire Dtraits days, compelling stuff. The penultimate piece on the album “The Magician’s Departure” finds the band in a more blues frame of mind and I did find myself struggling with some of the obviously intentional discords and jazz club style drunken vocals, however, even in such mode it can be heard just how adept the band are at melting different genres into their music. This can plainly be heard on the final piece “The Final Show”. Here a consolidation of all that has gone takes place with the reprise of earlier themes in true prog tradition and American west coast influences such as the afore mentioned Spyro Gyra, Yellojackets et al. Samurai/Resistor cohort Steve Unruh adds yet another dimension to the finale with his violin. Rousing stuff! I found reviewing this album both a total joy and a total surprise mainly because I knew very little or nothing about the band, their history or indeed the project itself. Kimmo Porsti has brought together quite a dream team himself being a master of the drums and doing so inspires further exploration of their previous album “Hauras Silta” and eager anticipation of further projects. Production is A1 sounding at its best on good quality playback equipment. Well, a grand way to end 2011 methinks. Paidarion just sneaked in before I assembled my list of top alums of the year and receives The Progmeister’s strongest recommendation. Behind The Curtain can be purchased from www.seacrestoy.com and costs 10 Euro including postage. NINE STONES CLOSE...FALLING TO PIECES EP. There is not a doubt in my mind at the massive talent behind Nine Stones Close. 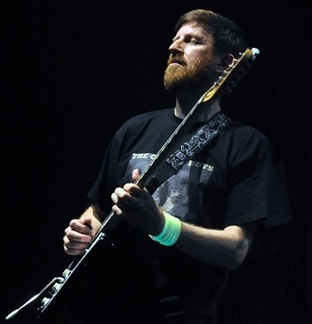 Guitarist Ade Jones recorded the first NSC album in 2008 as a totally solo project. Since then he has collaborated with Riversea nucleus Brendan Eyre and Marc Atkinson as well as bassist Neil Quarrell releasing Traces in 2010. It is from the Traces album that three of the seven tracks on the Falling to pieces EP are taken. For the faithful, a Traces EP accompanied the album for all those who pre-ordered the album. It is from this EP that the re-recorded acoustic, version of Innersense Threads (rewoven) and Traces (reconstructed) are taken. Only two of the original tracks from the Traces album didn’t get the remix treatment “Reality Check” and “Thicker Than Water” at least that is on this occasion. The title song of the new EP “Falling To Pieces” has been designated the Indian summer version and benefits from some different keyboard sounds which create an almost bolero effect adding a little drama over the original whilst the acoustic version of Innersense takes on an altogether lush openness when compared to the original. Marc Atkinson’s voice seems almost pleading whilst Ade Jones beautifully voiced acoustic guitar appears to chime in a semi percussive way. The revisions made to the originals again add new vigour giving the listener a choice and the option to form a preference. “Threads (rewoven) is a re-working of an already excellent song. This provides an opportunity for those NSC fans that weren’t fortunate to receive the re-traced CD with the original album. Lyrically it is a fairly gloomy tale with Marc Atkinson taking on the role of balladeer lending a certain feel of despondency to the piece. Ade Jones nails the whole song to the wall with a shooting from the hip blues lick terminating this particular version much sooner than the original. Traces (reconstructed) does beg the question “Why re-hash what was already a great track? Well, because they can! Today’s technology allows musicians to reconstruct, add, extract or change elements of recorded music much easier than in previous times. This allows them to paint in different colours and add new sounds and textures as and when they become available. This version of Traces dispenses with the guitar crescendo replaced instead by Brendan Eyre’s fine ear for texture and his superb perception of depth and breadth within the given soundstage. This piece majors on atmosphere with a great sense of timing, proving that sometimes less is more. The reprise of the title track adopts a more natural piano sound than the more rounded and treated electronic tones of the opening gambit. A little more power and raw energy is added to the mix courtesy of Ade Jones playing a frantic guitar outing with aplomb. Marc Atkinson’s voice adds to the potency of an excellent musical collaboration. The inclusion of very two very dark and eerie remixes of Threads make for a very interesting listen. These two remixes have been honed by friend of the band Michael Simons. The first of the two is Threads The Red Earth Mix. So dark that you may need a torch just to listen to it I can best describe it as ambient. Best appreciated via quality headphones it really grows on you. Whilst Threads Re-threaded rolls out a huge soundscape. I would happily recommend to followers of the band not in possession of the Re-traced EP to visit www.ninestonesclose.com and download themselves a copy of Falling To Pieces. At the time of this review a CD version of the EP was in production. I would be torn as to which version to recommend the most to be honest. The CD comes with artwork by the amazing Ed Unitsky whilst the download is available in both MP3 and high quality FLAC files. Whichever version is acquired I can’t imagine anyone being disappointed. Covers of classic works tend to leave me underwhelmed at best and downright appalled at worst. Over the years there has been some shockingly bad prog covers to exceptionally good ones. Colin Bluntstone’s rendition of the Genesis classic “Absent Friends” represent the latter ,so it was with some trepidation that I unwrapped and examined the latest offering “Undercover” from Finland based coalition The Samurai Of Prog. I must admit to being a tad ashamed of myself as I had pretty much fallen victim to my own thoughts and preconceptions. That said, this album is best enjoyed in the presence of you, your soul and memories of better days. So for full enjoyment of the album don your Ben Sherman, tank top, flares and platforms, switch on your lava lamp and sit back with a bottle of real ale. Like many of you I suspect I had never heard of The Samurai Of Prog until this nicely packaged CD arrived from Finland for review. It is hard not to be impressed when you read through the beautifully put together CD booklet. Eight of the fourteen tracks included on the album are covers whilst the remainder are original compositions albeit from different incarnations of the band. TSOP are in essence Marco Bernard armed with his Rickenbacker 2004 bass and multi-instrumentalist Steve Unruh playing guitars, flute, violin and vocals. Such a venture needs the best musical augmentation possible and throughout the album a whole army of serious prog warriors wielding Moog’s, Mellotron’s, Bosendorfer piano’s indeed anything that they could get their hands on. Starting with “Before The Lamia”, an intro to the following “The Lamia”, David Myers deft of touch with the afore mentioned Bosendorfer piano really makes you think, hey, these guys aren’t messing. At only 2:08 minutes long the round and crisp piano sound gives way to one of the most underrated sections of the 1974 Genesis album “The Lamb Lies Down On Broadway”. Joined by Flower Kings and Transatlantic guitarist Roine Stolt I never once thought of the band trying to emulate the original players. Instead I was given the impression that such important and classic prog songs had been given a spring clean and a new slant. For example, I could understand every word of the lyrics without looking at the album cover. It isn’t just the songs that come across so well, it is the choice of songs that set this album apart from other such attempts. Yes classic Starship Trooper, Marillion’s “Assassing” Flower Kings “World Of Adventure” all seem fresh and interesting. Pink Floyd’s “Dogs” from their Animals album included Nathan Maal keyboard guru Guy LaBlanc and benefits from a modern approach. Elsewhere there were some minor disappointments though on the whole they pale into insignificance. 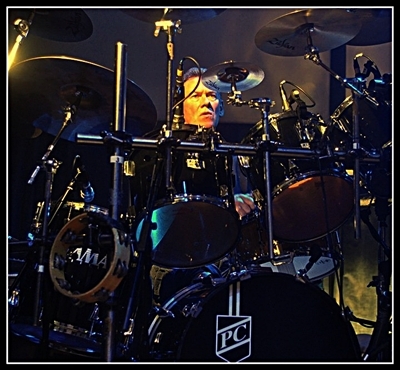 Of the original songs on the album my favourite by far was “The Promise” written by drummer Kimmo Porsti. Kimmo himself plays everything but the kitchen sink on this fantastic morphing of prog and folk with a cast resembling the final credits of Star Wars. I think it ticks all the boxes and well deserves an audience. Many albums of this nature make their way to Progmeister Towers and only very few ever provoke a comment. With the exception of Antony Karlugin ( Karfagan ), The Samurai Of Prog are perhaps one of the best I have heard at merging the classic prog sound with an element of more traditional instrumentation in a folky way. If you want something a little different and something that will please you in both a nostalgic and an exploratory way why not venture into the world of some great musicians creating some great moments. Money time and effort has been poured upon this project and it shows. I think it will divide opinion though I think it worthy of a fair trial. I was very pleasantly surprised. www.thesamuraiofprog.com and costs 13 Euros. I must admit to knowing little about Alan Reed before receiving his promo download of Dancing With Ghosts. An EP containing five excellent songs by ex-associates Able Ganz and Pallas as well as two new original songs. Starting with “Sanctuary (The Return)”, the original of which harks back to 1985’s “Knightmoves” EP by Pallas, the 2011 spring cleaned and dusted down version sounds clean cut and finely etched by comparison. Despite its fairly high resolution the song retains a beguiling nature and contains a keyboard patch I haven’t heard for many years. Indeed the keyboard sounds augment Alan Reed’s voice beautifully throughout this piece lending the only hint of a prog heritage on the whole of the EP. The instantly memorable “Who’s To Blame” represents a folk ballad methinks and it is here that Mr Reed proves himself to be more than a vocalist. He is also a great guitarist and wordsmith. The depth and timbre of his guitar sound is exemplary and the sitar sound generated in some way by Mark Spenser adds a great touch to an already delightful song. Although I dislike comparison and avoid it whenever I can, I couldn’t prevent myself being reminded of the Beautiful South and Gregson/Collister whilst listening to “Kean On The Job”. Jennifer Clark’s sumptuous double bass also reminded me of Mary Black’s rhythm section. Mark Spenser’s somewhat muted piano interlude insinuates that room has been left in these compositions and presented as something of a sketch which with no doubt will later include a full palate of colour and texture. A sheer delight is the naked transparency of “Teardrops In The Rain”. Bolting headlong again into folk and dispelling all notion of a prog artist gone array, Alan reed displays astounding vocal range laid bare and untreated my means of digital interference or otherwise. Keeping with the theme of simplicity, the earthy and somehow Scottish sounding “Begin Again” finds Alan in protest mode employing Scott Higham’s (Pendragon) percussive talent to hammer home the lyrical message supported by the apt and powerful Boderan. The vibrato in Alan Reed’s voice in this song being very reminiscent of Men At Work’s Colin Hay. Some or all of these compositions are destined for inclusion on the forthcoming “First In A Field Of One” album and as such will receive a makeover and a grandiose production. As they are now they represent uncut diamonds and I for one see the beauty of their raw nature and have no hesitation in advising their acquisition immediately. Hopefully more thought will be given to artwork and presentation as the mundane nature of the picture included with the download leaves a lot to be desired. We look forward to hearing the new album very soon. The last time I had chance to chat with Guy Manning was backstage at The Progmeister festival in March. I remember him being animated on that occasion about the project he was then currently working on which transpired to be his latest album Margret’s children. Following fast in the wake of “Charlestown” Manning’s last tour de force, Margret’s Children isn’t merely a listening experience; the album is a continuation of another of Guy’s venture’s “Anser’s Tree”. In fact within the pages of the superb booklet just below a comprehensive family tree illustration is the words Anser’s Tree II. As with all Manning albums elaborate sleeve notes explain all. The accompanying booklet includes another work of art and illustration by the now legendary Ed Unitsky and completes a very favourable package indeed. Looking at the credits there appears to be many fingers in the pie, though I suspect that guy himself plays the lion’s share of the instrumentation. The overall sound benefits from the inclusion or real instruments amidst the samples and various electronica. Indeed Steve Dundon’s flute playing and Guy Manning’s Ian Anderson inflection in some of the pieces included here really do give a Jethro Tull feel which I personally enjoyed. I must admit to my mind being tricked into thinking that Guy was going to start singing Billy Idol’s “White Wedding” following the opening few bars of “The Years Of Wonders”. This full blooded opening gambit has pace aplenty. If there is a subtle way of charging ahead with all guns blazing then this is it. Guy plays some great keyboards on this storming introduction to the inner workings of Guy Manning’s creative imagination. The densely layered plains of this composition are richer for the Ian Walters fiddle playing and the urgency of Marek Arnold’s sax. Momentum is fully maintained by the semi-folk “Revelation Road” I have to take my hat off to Guy Manning, his writing ethos remains prolific and as much as I liked the last album “Charlestown” I found “Margret’s Children” far more accessible, memorable and dare I say it, Lovable. Should Manning get round to releasing a single then this surely has to be a strong contender. Along with a crisp acoustic guitar and sharply etched vocal there is an almost gospel feel to certain parts of this song and the album as a whole benefits from its different and quirky nature. For those of us who love Jethro Tull (myself included) the rather lengthy opus that is “A Perfect Childhood” will ring many bells. At just over seventeen minutes long it tells the real life tale of Edith Cavell who ever she was. This kind of intrigue adds to the mystery of the album. In true and lovable prog tradition themes within themes are contained within this song, which at times remind me so much of E.L.O. Many twists and turns had my speakers dancing a jig again demonstrating some really great moments. As it is by far the longest piece on the album I would council that “A Perfect Childhood” demands more of the listener’s attention. Following such a massive musical excursion the tempo is brought down a little in what could be seen as a musical interlude in the form of “A Night At The Savoy”. The sweet silky tones of Guy Manning’s good lady Julie King brings about a subtle and sensual lounge feel to the eclectic mix of short stories. Quite an oasis in what I think is an intense and full soundstage. However, having caught your breath its back to serious matters and my perception of “An Average Man” is that of tragedy. I think it is a sad tale expressed very well in a jaunty English way. Something I feel that our European, Eastern block and American cousins can only aspire too. There is a great string sound in this piece similar to the old ARP string ensemble (Solina) that many of you may remember? Along with Marek Arnold’s saxophone it contributes to a lush colourful palette of sound in this yet again to this abruptly terminating, intense drama. Representing the opposite idea of un-plugged is “Black Silk Sheets Of Cairo. This is Manning powered by radio-active Isotopes. Galloping through this fun and wildly animated Arabic tale replete with flutes, clarinet and some great synth sounds. It lightens the mood before presenting a more serious finale to a fascinating series of interesting tales. Concluding the album is the apocalyptic “The Southern Waves”. A fitting climax to an altogether intriguing and thought provoking storyboard that draws in the listener enticing them to want to know more about the content by reading the print off the accompanying booklet and links to the Manning website. Guy Manning’s keyboards and yet again Marek Arnold’s clarinet along with a burning guitar solo courtesy of Chris Catling draw to a close manning’s best work to date, I kid you not! It has to be said that “Margret’s Children” does suffer as some albums do from being very dependent on which playback equipment is used. I have to confess that I didn’t enjoy the album as much whilst I was listening to it in the car. I found that I was more aware of the drum software and missed out on a lot of information. Listening to it at home via headphones or hi-fi it sounded more like it should, large and very grand. I have three other albums awaiting review and fear that I may have to delegate the job due to the fact that every time I attempt to play some music “Margret’s Children” is first into the machine. Do I know what it is all about? No, not a clue! Who knows what goes on beneath the cap of Guy Manning? When I get round to it I’ll make it my business to find out, until then I am going to enjoy the album on its musical strengths alone. Want to know more? Checkout……. I compose this review as a very impressed Credo newbie. Until now I had only heard Credo by name, I had until today actually never heard their music. 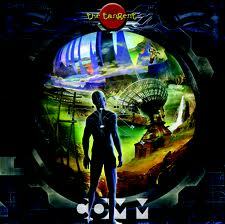 This CD, their third is a shining example of 21st century progressive rock. It has all the hallmarks of classic prog shifting time signatures, exemplary playing, good varied material and solos none of which are overstated and entirely relevant to the feel and timbre of the music. The album begins with a nice keyboard intro and were off 'Staring at the sun' a cracking opener in which an addictive chorus and some great guitar playing take us on a journey to a place on the edge of destruction. Mark Colton weaves a tale of apocalypse, his impassioned vocal enraged by what is happening around him. This is an excellent opening track with its it's blend of musical accessibility and a stern warning to us earthlings to think about our planet and our future. The following track Cardinal Sin is another very strong track, this song discusses blowing the whistle on abuse . Its a superb rollercoaster of a listen, twisting moods an epic piece indeed. Intimate Strangers follows its a slower paced track with a heartfelt vocal performance embellished by some lovely keyboard and guitar work. Next up is the instrumental title track Against Reason mystical and eastern influenced, it reminds me very much of another favourite instrumental track of mine Arboressence by Ozric Tentacles, absolute quality. Insane follows with its themes of religious and political extremism. The band deliver a very strident and powerful musical backdrop (listen to the guitar in the latter part of the track) while space is allowed for the musical flexibility which is the cornerstone of the prog genre. Another great vocal performance gets the message across no problem The theme and performance of this song are very strong, once again Credo makes you think. A shorter track Reason to Live brings the pace down a little but this doesn't mean that any power is lost. This is a nice melodic song that makes you feel that at some point the music will break loose but the band keep it restrained achieving a beautiful warm musical atmosphere. Conspiracy (MCF) deals with exactly that, conspiracy theories Did man walk on the noon? What happened at Roswell? How did Marilyn die? This ten minute track is a full on album highlight featuring another great vocal and excellent keyboard and guitar work throughout. The album reaches its peak with the epic closing track Ghosts of Yesterday. Not as instant as some of the other tracks, it starts off in a laid back mode gradually building to an anthem like finale and features some really nice acoustic piano playing mid-way through the track. This track will benefit from repeated listens. A very good ending to a very good album. Well, Comm finally arrived at Progmeister towers and not a moment too soon. The package under scrutiny here is the 180g vinyl LP which contains three of the major pieces from Comm and includes a cd of the whole album with two bonus tracks. Also included is Andy Tillison’s intriguing solo album Murk. At £29.99 including postage it may seem by some to be a little steep, however this is a high quality collection of merchandise and I fail to see anyone being disappointed. We can confirm to you from the outset that after listening to the CD and then the vinyl album, the latter is simply sublime. Everything about this album has been thought long and hard about. From the amazing art work courtesy of the extremely talented Ed Unitsky, who is without doubt the modern day Roger Dean to the internet campaign drip feeding tasters and information about the albums content and meaning. Even after hearing hints of what was to come, the experience of listening to the album in its entirety was a revelation. Having watched the interviews on youtube with Andy Tillison’s explanation with regard to the various tracks on the album it became evident that no such explanations were necessary, such is the clarity of the lyrical content. Better still than all of this was the music itself. This is full on, high octane music for those who love the highs and lows of what I would shamelessly refer to as proper prog. Yes folks it’s all here, ripping synth solo’s, blinding guitar excursions with a big hearted sound. Keeping with tradition the album opens with “The Wiki Man”, a twenty minute epic that to be honest blew my socks off. Moving through six different segments beginning with Prologue emanating CB radio frequencies at you to Andy Tillison’s delightfully rich sounding synthesiser flourishes and organ to the lightening attacks of Luke Machin’s million miles an hour guitar throughout the whole of The Wiki Man suite. Moving on through the powerful Wiki Man into “Competition Watershed”, Competition winner Andrew Roussak plays an inspiring piano/synth solo which he submitted to the band as part of a competition they had set for musicians to record a solo to be included on Comm. A deserving winner if ever I heard one. “Edit Me Out” slows the pace down for a brief moment just long enough for you to get your breath back before launching into a very Greenslade like organ and Mellotron outing passing swiftly through “Car Boot Sale” and reprising the main theme. “The Mind’s Eye” is a song I had encountered before whilst watching Tangent’s superb “Going Off On Two” DVD which I would also heartily recommend if you haven’t yet already bought a copy. I can describe this song as a romp. It really gets the feet tapping. I would recommend however that air guitar should not be attempted whilst listening to this song; you could do yourself an injury. A vast range of styles and influences are displayed throughout this amazing song and I hear a lot of jazz creeping into this and other songs on the album. Jonathan Barrett takes a turn with vocal duties on “Shoot Them Down”, a moving ballad about the real people affected by Cameron’s austerity measures. I must admit to being moved by this beautiful song and it brought home the decay in our towns and cities due to the incompetence of overpaid bankers who will never share the poverty they have caused. This is very much a blues song methinks, Barrett’s poignant lyrics set against a steely organ and Luke Machin’s soulful guitar really hits the spot and demonstrates the dexterity of each member of the band. “Tech Support Guy” is very much a caravan pastiche if ever I heard one. It did cause me to smile whilst listening to Andy Tillison’s enunciations bemoaning the lot of those saintly individuals frequently called upon to right all the wrongs of our information technology systems. Guitar and organ interplay are nothing short of astounding and had me performing my Keith Emerson impression. Thoroughly enjoyable, a light hearted view of the tech support guy’s life. On to more serious matters “Titanic Calls Carpathia” consolidates the whole album highlighting just how much communication systems have evolved since that fateful night when Titanic collided with an iceberg. “Titanic Calls Carpathia is like the opening song divided into six parts. The opening “Millpond” is a haunting prelude created by the talented Theo Travis who played flute and sax throughout the album. Here he and elsewhere he gives an almost orchestral scale to the piece. Giving way to the main theme of the song “Titanic Calls Carpathia” highlights the futility of communication as it was then. The plight of Apollo 13 expressed in “Lovell Calls Houston” further demonstrating how important a simple thing like a two way radio is. I found myself using the beautiful full sized booklet as a programme whilst listening to Comm which contains interesting facts heightening the enjoyment of the listening experience even further. Theo Travis’s sax and Jonathan Barrett’s fretless bass give an almost west coast feel to musical interlude between “Lost Souls Calls Antares” and “Fire In Your Fingers” which moves into full on jazz fusion. The song melts into the thought provoking conclusion “Earth Calling Anyone”. Bonus tracks on the CD only include “Spirit Of The Net” and a cover of the Genesis classic “Watcher Of The Skies”. “Spirit Of The Net” was originally recorded by Andy Tillison as a demo for the Comm project. It’s a rocky little number that would be right at home on a Bryan Adams album. It lacks the depth and breadth of the main recordings though enjoyable none the less. “Watcher Of The Skies” is performed for fun utilizing the oral skills Pete Greenwood and Phil Bernia both members of Yes tribute band SEYES. Some may view this as heresy; I would council that it should be treated as it was intended as a bit of fun. Comm represents The Tangents best and most powerful work to date. The CD is beautifully packaged complete with a gatefold sleeve containing a superb 20 page booklet. The vinyl album contains the full sized version condensed version of the booklet and for the optically challenged such as myself is a joy to own and use. It also makes the best of Ed Unitsky’s magnificent art work. I was pleased to read as part of the acknowledgements a reference to one of my favourite musician’s martin Orford. Yes martin, I fully agree with Mr Tillison, “the world still needs you despite COMMania”. 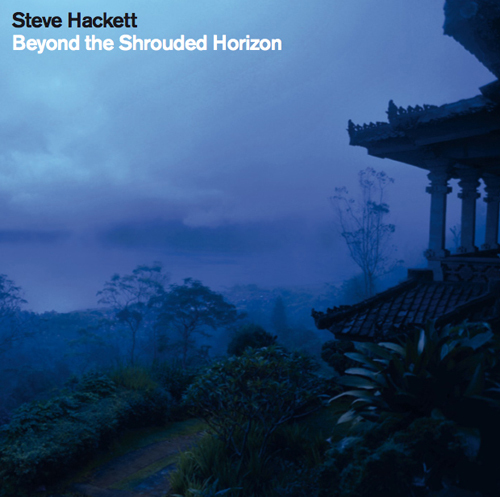 Continuing the multicultural musical landscapes of “Out Of The Tunnel’s Mouth, Steve Hackett returns to the more elaborate environment of a recording studio in which he created a diamond of an album “Beyond The Shrouded Horizon”. Recruiting extra musicians apart from the usual suspects Steve really has drawn from his own musical heritage as well as continuing his passion for including textures and rhythms from other continents to further extend the boundaries of his previous masterpiece. Given Steve Hackett’s proven track record with classical acoustic guitar pieces and delicate touch with such an instruments it can become very difficult to pin him down to any given genre. What we have here is Steve revisiting some of the most inspiring eras of his entire career whilst remaining true to his most recent approach to structure and scale. Realising the need to retain quality, trusted personnel around him as core members of his team, Steve sensibly augments this latest project with musicians exerting their own influence and flavours on what is an already winning formula. The wonderful thing about reviewing any work by Steve Hackett is that any comparison to his latest works can only be made to his own repertoire as he is not only unique he is an innovator, less an influenced musician more a musician who influences others. With this said, how does the progression from “Out Of A Tunnels Mouth” sound like? To say that it’s pretty good is selling it short. “Loch Lomond” is the first of many memorable songs and from the outset this growling opener hints at where the rest of the album is going. Much of this album is reminiscent of 1999’s Darktown and this song is one of the songs that attest to that. Despite Amanda Lehmann’s sweet Harmony vocal Loch Lomond is very much a balls to the wall piece, reminding me that despite its astounding beauty it can be a very dramatic place too. “The Phoenix Flown reminds all Steve Hackett fans why they return time after time to his concerts. This song represents another great anthem superbly executed by a guitar genius flanked by some of the best musicians in the business and is followed by the mellow tranquillity of “Wanderlust” which sets a trend of introducing larger scale pieces using atmospheric tones of acoustic guitar. The scene already set, “Till These Eyes” finds Steve in a more romantic mood and exudes a man who now finds himself in a very good place. Not a bad idea to include a ballad amongst such diverse proceedings. “Prairie Angel” is what we have all by now come to expect from Mr Hackett, blues with depth and weight. Steve makes it large with his harmonica and treating his trusty Les Paul to a severe thrashing flows into one of the highlights “A Place Called Freedom”. As Steve states himself via his website there are hints of Americana on the album and no more so than here. “A Place called Freedom” is without doubt an uplifting and optimistic song much needed in a world with so much pessimism. In fact throughout the journey from Voyage Of The Acolyte to this bejewelled performance I found myself intrigued by the lyrical as well as musical content. None more so than “The Sunset And The Coconut Palms”. One of the first songs apart from “Blood On The Rooftops” which has made me sit and listen to the words. All credit to him. It is evident that all has been meticulously put together and as much thought gone into lyrical content as the compositions. Moving into a more ethnic direction, “Waking To Life” has a very distinct Asian feel to it with Amanda Lehmann’s voice sounding reminiscent of Madonna’s. The climax of this song could be described as a modern day “Land Of A Thousand Autumns” which then morphs into the majesty of “Two Faces Of Cairo”. Actually written by Steve as he was sat at the foot of the sphinx “Two Faces Of Cairo” can only be described as massive. Not the first time an Egyptian theme has been explored by Steve Hackett, The forerunner being “Valley Of The Kings” equally as dramatic and equally as evocative of the culture, history and imagery of this once great empire. From such a grand musical gesture to that of perhaps the sweetest song on the entire album, “Looking For Fantasy”. The melancholy vocal presentation of this song could well have been sung by someone like Van Morrison such is its timing and gorgeous lethargy. The orchestration and depth of this song is give further depth and reality by Richard Stuart’s subtle cello. Breezing into “Summer Breath” a lush and tranquil acoustic guitar piece bridging a trickle of a musical stream into a the mighty Tundra of “Catwalk” which is all out blues with a feeling (No approximate pun intended). I found myself holding onto the chair arms during this baby. Take it easy with the Jack Daniels it’s very easy to get sucked into the vibe! Just when you think the last of the electricity has been used, the grand finale of this Hackett travelogue terminates with a science fiction concept in the form of “Turn This Island Earth”. Drawing to a close a very busy recording filled with musical know how, this thunderstorm of a conclusion to what is very much the produce of a seasoned and open minded team player who gets better with each passing year. “Turn This Island Earth” Yet again revisits the Darktown era with its use of low and terrifying bass notes courtesy of the cello and Roger King’s keyboard and programming skills. My enthusiasm for this album is evident throughout my observations in this review. Aficionados won’t need such views to decide whether or not to buy this aural diamond merely a guide to compare it to previous Hackett heritage. What will appeal to many die-hard fans is the nod and a wink to salad days whilst maintaining poll position in today’s prog scene. This has been done by keeping up with technology, re-invention and belief in what he does. Beyond The Shrouded Horizon will be available in in three formats. CD, double vinyl record with gatefold sleeve and a limited edition media-book with nine bonus tracks. Price was unconfirmed at the time of review. Pre-orders will be taken soon via www.hackettsongs.com release date in Europe will be September 26th. My advice is to keep your eye on Steve’s site. I’ve got my heart on an LP whatever you do don’t miss out on this masterpiece. Cosmograf is to all intense and purpose Robin Armstrong a gifted multi-instrumentalist from Waterlooville near Portsmouth who sites Steven Wilson, Roger Waters and David Gilmour as some of his inspirations. This becomes evident when listening to the many effects throughout this interesting and thought provoking album which is based around the aging process and its effects on both mind and body. Some of the songs also convey Rob’s personal life experiences. For anyone like me who now find themselves more likely to be past the half way mark of their life the album does leave you pondering and even persuade personal reflection. After the initial impressions have subsided and you stop judging events as an attempt to recreate Pink floydisms, this really is an excellent body of work. Porcupine Tree fans will hear a lot to like about this album as it does resemble some of their earlier work and Steven Wilson’s influence plainly obvious on Rob Armstrong’s style. All songs were recorded and mixed at Rob’s recording studio in Waterlooville with the exception of “White Light Awaits” which Lee Abraham mixed at his dockside studio in Southampton. All drums throughout were recorded at rob Aubrey’s infamous Aubitt Studio also located in Southampton and with the exception of one song played by It Bites drummer Bob Dalton. These West Country boys sure stick together. Taking the CD out of the box the excellence of the booklet artwork is further extended to the disc itself. The Roman numerals of a clock face around its circumference it exudes the Hypnosis style and quality. All credit must be given to Graeme Bell for making the superb illustrations not only great to look at but relative to the musical content of the album. Both lyrics and credits are clearly legible against the dark colours of the cosmos. A ticking clock, a telephone ringing and a crying baby give way to muted piano and Robin Armstrong’s cynical tones as “Into this world” opens the proceedings in a fairly bleak way. It really showcased Robin’s musical competency and talent. As well as keyboards, bass and vocals he played some mean guitar making for a wonderful finale. “Blacksmith’s Hammer finds Robin in fine song inflecting folk like tints to this much lighter lilting song. Electric and acoustic guitar complemented each other nicely. I couldn’t help thinking that Robin sounded very much like Nick Barrett of Pendragon, none more so than his reflective ramblings of “On Which We Stand”. Again, electric and acoustic guitar set against a huge church organ pad. It even had me thinking of Barclay James Harvest. Amidst the various sound effects and memories of the seventies “Bakerlite Switch” despite its darkness reminded me of better days. Lyrics and themes of the day were included to great effect and a guitar solo from The Tangent’s axe man Luke Machin make for a special moment. “Memory Lost” finds Hugh Lloyd Jones on vocal duties. I found this to be a rather sad song and Robin Armstrong’s guitar was literally bleeding backed by a huge keyboard orchestration. I seemed to identify with this song and its message. Bob Dalton’s drums sounded powerful and passionate, very impressive. The recital of a poem entitled “Growing Old by Tom O’Bedlam makes for a solemn beginning of “When Age Has Done Its Duty”. At 13:02 it is the longest song on the album. A master stroke was getting Steve Thorne to sing both the lead and backing vocals on this masterpiece. Many would consider this song to be morose and to be honest I think if you are of a certain age you may find it a little disturbing, however, the aging process is by its very nature disturbing. Thought provoking and interesting is how I would describe it. All credit to Rob Armstrong for putting his heart and soul into the guitar solo here. The sound of a draft coming from somewhere actually made me shiver as the fading tones of an ECG machine signalled the beginning of “White Light Awaits”. Headlong into neo-Prog laced with electronic overtones, Robin is joined by lee Abraham playing slipknot-like guitar and bass whilst The Tangent’s Dave Ware gives it large with a slightly heavier hand than his predecessor. Concluding this powerful yet poignant opus is a more delicate piece “Dog On The Clee”. Quite haunting and what is I think a fitting finale to an album that kept me engrossed from start to finish. I would thoroughly recommend that you check out the Cosmograf website www.cosmograf.co.uk should you want to know more about this intriguing musical journey. At £9’99 including P&P it is worth every penny. 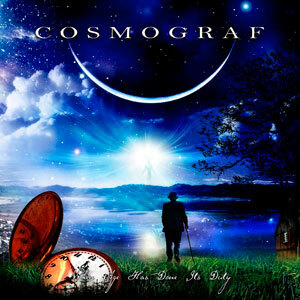 There are two more albums available by Cosmograf and we will be checking both of them out. This one is definitely worth adding to your collection though. Continuing from where BC-Ancestors left off Mandalaband4 collect some new contributors along the way. Steeped in historical intrigue and moving into the story of the Holy Grail but not as the booklet denotes one that we would know, AD-Sangreal (Holy Grail) takes the listener on another fascinating journey. On a sadder note the album features the last recording of Woolly Wolstenholme who took his own life following a severe bout of depression. A very sad loss indeed, his contribution to this album makes it all the more special. A fairly sombre beginning to the album is “A Bloodline Lost”, Marc Atkinson delivering the lyrical narrative clearly and concisely. What seems to be a delicate sonnet soon turns into a huge soundstage of chorale and orchestration which to be honest leaves you asking the question, How the hell have they done that with the resources available? Reading the credits of which there is a track by track inclusion in the luxury CD booklet, you realise that apart from having very gifted musicians on-board, David Rohl and cohort Jose Manuel Medina share between them a wealth of technical skill and know-how and it shows throughout the whole of the production. The scale and mood continues with “Magdalena” giving the song a very west end musical feel. 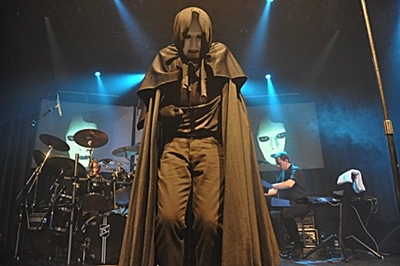 The same can be said for many of the songs on the album and it would be very easy to imagine a theatrical production of both AD-Sangreal and its predecessor. This is testament to just how much imagery the delicate and powerful highs and lows of this extraordinary album invokes and plainly seen in the mind’s eye. A fanfare heralds the arrival of “Palatium Britannicum” Hard to believe that the band themselves achieve such a huge chorale sound with only a few singers. Ashley Mulford singing the lion’s share of the words and some subtle inclusion of Celtic whistle and Uilleann pipes courtesy of the gifted Troy Donockley. Who also helps out with guitar duty on “England’s Heart and soul” where David Rohl’s rich, mellow voice relaxes you into listening avidly to every syllable he sings. A song for the patriotic methinks! “Sancto Laurent” Finds David a little more upbeat and using lots of brass sounds to make this song stand out from all the others without losing the main theme and character of the whole for one minute. This song moves seamlessly into “Flight To Osca” which includes Ashley Mulford playing some excellent guitar licks as well as rhythm guitar too. There are some great moments on this album and this is one of them. “Visigoths” has you reaching for a history book such is the shear want to understand what the song is all about. Another merit I think that makes the album a must have. Infact I found that there is two ways you can listen to this musical artwork, one is to just sit back and enjoy it’s splendour the other is to sit and read the sleeve notes or even further research the meaning of the various events portrayed. Ashley Mulford’s guitar again steals the show here. “Saracens” is an all-out Arabic musical portrait and features Troy Donockley playing a myriad of instruments including a bouzouki. David’s voice beautifully augmented by the lilting backing vocals of mother and daughter Barbara and BrionyMacanas. Beware the scary voice towards the end of this song. My guess is that it is David Rohl talking through a vocoda. I was listening late at night and it frightened the life out of me. “Al-Andalus” gives me the impression of being informative and is perhaps the least inspiring song on the album and still it’s pretty darned good. Moving headlong into “Unholy Orders” finds Ashley Mulford in fine voice as well as playing some great blues guitar. David Rohl adding a little Hammond B3 to the mix, further adding to the blues tinge of this wickedly good outing soon moves back to the epic and grand scale of “The King Of Aragon”. A much more delicate vocal presentation by dave Durant makes for a very special moment here with some great keyboard additions by Woolly Wolstenholme. “Holy Orders” had me thinking of enigma such was the use of Gregorian style backing vocals and even the Amen at the end. “Le Perche Val brings a massive band effort with troy Donockley’s Celtic whistle reminding me very much of Capercaillie. This spills into the next song “Anfortas Rex” which despite having less musical contributors maintains the scale and spaciousness of the other formidable pieces throughout. Not detracting from what is an amazing album, the highlight for me was the inclusion of the Barclay James Harvest “Galadriel”. Not only was it a fitting tribute to the late woolly Wolstenholme but an amazing rendition of an already great song. The sweetness of woolly’s voice making it even sadder about the event that would occur shortly after recording it. A further tribute is the musical dexterity shown by the other musicians playing on this piece and I do have to admit to feeling quite emotional whilst listening to it. In conclusion, both BC-Ancestors and AD-Sangreal are to me a musical adventure. Beautifully packaged with some of Ed Utisky’s best artwork and illustrations I consider the acquisition of both albums money well spent. Elaborate notes about the albums historical content can be found in the superb sixteen page booklet. 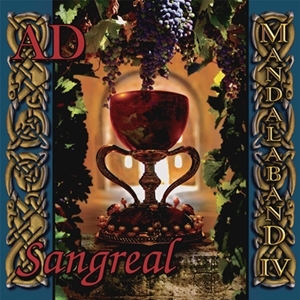 Whether you become as captivated with its historical content as I did or simply love its themes and magnificence AD-Sangreal is an album exuding quality and sewn like a silk tapestry. Mandalaband5 is presently under construction. Who knows what to expect? I for one can’t wait. Somewhere in my loft is a copy of a vinyl record given to me by a friend many years ago. It is called The Eye Of Wendor by the Mandala band, the driving force and founder of whom is David Rohl. My memory of this album has been somewhat jaded by the passing of time, though I can remember that I used to enjoy its content very much. It was only by chance on a recent visit to my friend and Muso Brendan Eyre’s house that he mentioned the new album by The Mandalaband or Mandalaband 3 in its latest guise. Brendan played me a couple of songs and i was smitten. I decided to check out the Manadalaband website to find out more. Having contacted them to acquire a demo copy of their new album, a copy of the bands previous album BC-ancestors was sent to Progmeister towers for our perusal. We have since been assured by David Rohl himself that a copy of the latest production is winging its way to us. In the meantime I decided to hear what the Mandalaband of the millennium sounded like. Looking at the package as a whole I have to report that it is not shabby. This is indeed a quality item with thought given to all aspects of the whole experience. Comprehensive notes and credits leave the listener wondering about nothing with regard to what the album is about or the myriad of musician’s contributions. The biblical mood is beautifully captured by Ed Utininsky’s formidable artwork and artist who by now must be heralded as the new Roger Dean. 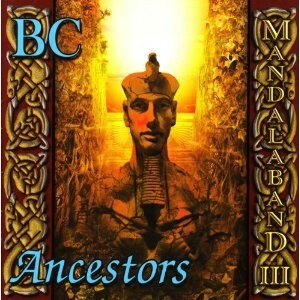 BC-Ancestors Mandalaband 3was recorded 2007-2009 and is described unashamedly as symphonic rock. This became evident from the first few bars of the overture simply entitled Ancestors. Mr Rohl himself gainfully employed here on piano and synths aided and abetted by a Stella cast of quality musicians set the mood for the following thirteen fascinating musical excursions. “Eden” finds David in fine voice sounding not unlike the late Eric Woolfson. Indeed the album does have a feel of The Alan Parsons Project. Orchestration throughout the album is exemplary ranging from being eerie to downright epic. David Rohl and cohort Jose Manuel Medina blended huge orchestration with traditional instruments to make a massive historical picture in the listener’s mind’s eye. Great to hear Woolly Wolstenholme Playing and singing on “Nimrod”. This song is certainly as good as anything he ever did with BJH and finds him assisting with the orchestration duties too. Woolly certainly left his mark on the album singing both this track and the finale “Roots”. “Shemsu-Har” puts you right in the middle of the desert gazing at the sphinx, pyramids and the grandeur of the Valley of the Kings. Such is its power and majesty. Indeed many of the tracks on this album fail in no way at all in sharing mood provoking atmosphere. A perfect example of this would be “Akhiyawa” in which David Rohl again utilises modern electronica with traditional instruments demonstrating his vast experience in musical texture and timing to create a vision. The guitar playing throughout the album is nothing shy of spectacular. Ashley Mulford (Sad Café) Played some blinding guitar breaks throughout, yet showed a delicate almost blues touch on the delightful “Elissa” which finds David singing in Harmony with Barbara Macanas. If you are interested in history, and like me become involved in the musical landscapes conjured up by composers who work with film and other such media, then BC-Ancestors by the brethren of musicians known as Mandalaband 3 is an absolute must have. It is a compelling listen and exudes quality both in its production and presentation. The songs on this album represent the history of the world 5,000 years before Christ. I can’t wait to listen to the next edition AD-Sangreal. Watch this space. It’s taken me a while to get round to reviewing Sean Filkins war and peace & other short stories. I first heard excerpts from the album on ARFM’s Soundscapes and became instantly intrigued. From the outset this album holds the listeners attention and interest not only in the musical landscape painted by each ensemble the majority of which I would describe as epic. In times of beige carpets and plain walls Mr Filkins has returned to rich tapestry and Persian rugs. By this analogy I refer to the use of every part of the soundstage utilising many talents and resources not least himself. Ably and abetted by ex- Galahad bass player Lee Abraham playing everything but the kitchen sink as well as a host of Prog dignitaries and even family members, Sean Filkins avoids revisiting the basic prog format and going in the opposite direction too and becoming a heavy metal advocate. Looking at the cover and elaborate booklet made me think that this really is a nice album to have in any collection. The artwork is all relevant and well presented, though, I was a bit surprised that Mr Filkins needed to display his gluteal attributes whist being stared at by a bewildered canine. As I said, it all seems relevant. Such is the content of this album that however lengthy this review may become it will be but a synopsis. One thing that was noticed is that this is one of those events best experienced on a good hi-fi to fully appreciate its content and grandeur. I was very fortunate enough to have been sent track notations by Sean explaining what each track is all about and I must admit to being one up on the average punter. Still, it’s for the listener to decide for themselves and interpret as they feel. “Are You Sitting Comfortably” is but a recording of someone enjoying a cup of tea with a biscuit accompanied by a brass band playing Jerusalem, and is indeed the first part of the following song “The English eccentric”. “The English Eccentric” was the first of the songs that I heard from Sean and instantly fell in love with it. Leaping at you with a wasp like synth opening almost like a fanfare Sean’s voice is set within a myriad of guitar, electronic drum software and keyboards before being bolstered by the sumptuous bass of Dave Meros (Spock’s Beard). For such a musical happening, all of the songs have a rich lyrical presence encouraging a constant revisiting of songs in order to grasp their meaning. This album really is money well spent. Because some of the songs are so long it was found that as much enjoyment could be had by playing songs in isolation as well as the album in it’s entirety. Moving on to the Roger Waters type opening of “Prisoner Of Conscience” I was consumed by the depth and diversity demonstrated throughout this piece. The differences in musical styles and instrumentation make the story told by this rock operetta something rather special. Using instruments such as Tabla, Garima, Sitar and even a didgeridoo brought about a “world music” feel to the opening segment of the song. I even found myself accepting the more grunge type guitar chops of which I don’t usually care for. John Mitchell (Arena/It Bites) guitar playing is brisk and very much up beat although at times can become a bit Bill and Ted! Split into two parts, part one being “The Soldier” and part two “The Ordinary man”, “Prisoner Of Conscience is about Sean’s maternal grandfather who went missing in world war two whilst out on patrol. Should any more about the tales and stories need clarification I would suggest visiting Sean’s website www.seanfilkinsmusic.co.uk . “The Ordinary Man has keyboard man John Sammes (Indigo Pilots) playing some fine synth and Mellotron sounds whilst John Mitchell brings the piece to a burning conclusion. Sean’s daughter Abigail assists the dramatic beginnings of “Epitaph For A Mariner” by singing the traditional hymn “sailors Hymn” (for those in peril on the sea etc.) Another twenty minute job split into five parts, all the elements of which I found fascinating. The piece is all about Sean’s great grandfather William Pull who was lost at sea off the coast of Margate during a violent storm. There is a lot more besides to this tale, though again I would urge you to check out Sean’s website if you want to know more. Yet again I found myself using the word epic. The list of recruits on this song is endless, some well-known and some not as well-known like Gerald Mulligan who’s deft of touch with his drums made for some compulsive listening. The beautiful finale of the album is an original instrumental piece from 1996 written by Geoff Webb who also plays acoustic guitar and keyboards not only here but elsewhere on the album. Originally entitled “Pastoral” Sean heard the piece whilst recording in the studio at which Geoff was employed. The slowest and sweetest of all the songs on the album it exudes optimism. I identified with this song as it is all about coming to terms with one’s past working towards a brighter future. Good to hear the reprise of the sitar and tabla drums linking the songs with the previous gems. Bringing all to a satisfactory conclusion using Mellotron sounds, mandolin and other such Prog weaponry leaves the listener in no uncertain doubt in which genre Sean Filkins sits comfortably into. I commend him for thinking outside of the box. For utilising the talents of expert help and artistry, returning to the roots of telling great stories using music. I can forgive him for the public display of his ageing yet pert posterior but I would council against the wearing of yellow Dr Martin boots or indeed the promotion of such items. If like we do you love prog rock then you would be ill-advised to miss out on this diamond of an album. My advice is to log on to www.seanfilkinsmusic.co.uk and order yourself a copy whist you still can. No animals were hurt during the making of “War And Peace & other short Stories”. 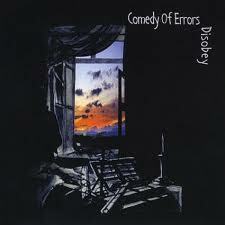 Beguiling, bewildering and really very good is the way that I would describe “Disobey” the shape-shifter of an album by Glaswegian based Comedy Of Errors. Vocalist Joe Cairney brought the release of “Disobey to our attention a few weeks ago and promptly sent us a copy for review. The presentation of the CD and it’s packaging is very impressive complete with a booklet containing legible lyrics and credits and intriguing art work. The immediate strengths musically on this album are keyboards and guitar both of which are excellent. Whilst Joe Cairney does an sterling job of singing the at times somewhat contrived lyrics attention is drawn to the musicality of the compositions. The album was mastered down in Southampton at Rob Aubry’s Aubitt Studio and it is plain to see and hear that attention to detail has been paid to all aspects of the production. The opening effects laden title track “Disobey” fools the listener into thinking very early Marillion whilst in fact throughout the whole of the album it becomes very hard to define any one particular influence, though I would imagine it to be the usual suspects. A reverse tape effect backed with a rather nice Mellotron string sound launches “Disobey” into an aggressive and heavy style which sets out a distinct feel of the album. Ebbing into a tranquil conclusion keyboard swirls and electronica moves into “Jekyll”. What sounds like a full blown Genesis pastiche soon picks up speed with a dirty Hammond sound. It’s all here for the ardent prog head. Jim Johnston’s keys really shine on this epic and also Songs like “Carousel”. Listening to what has now been a pure prog extravaganza It came as a bit of a shock when someone pressed the ZZ Top button and American Rodeo ripped into my living room. Mark Spalding’s guitar playing took on a different style all together. Meanwhile back on Earth the following song “It Could Have Been Yesterday” lowered the listener into a false sense of safety. At first it could be thought that this is the kind of song that The Corrs would record. That is until Mark Spalding reappears with a meaty guitar brake in the middle reminding all that you are listening to a serious musical force. “Joke” finds the same guitar infusion amidst a slower pace which also lays bare Joe Cairney’s Scottish vibe apparent throughout a lot of his delivery. Though it is not exactly The Proclaimers go Prog, it is a very welcome honesty in the way that the songs have not been falsely Americanized. “The Student Prince” brings the band firmly back into traditional prog as apposed to the much over used category and phenomenon of Neo prog. Split into four parts beginning with “When Will I See You Again” and ending with the superb “Green Light Coda” “The Student Prince contains some great moments not short of pep and vigor from all members of the band. Throughout the album I must admit to becoming a little confused as to what the band were all about. Classic rock, Prog, Metal, AOR??? What ever they are I like them for it and heartily recommend this album which tends to creep into your head by stealth demanding that you keep revisiting it. Travelling south to Leamington Spa from Teesside playing some of IQ’s vast back catalogue as we went paid off that evening of the bands 30th Anniversary show. Many of the songs the band played that night had not been played for many years. The Assembly Rooms in Leamington Spa is a fitting venue to hold such an event. Beautiful architecture, a fairly large capacity hall, nice high stage surrounded by all the facilities you need to enjoy such an evening. After collecting our free CD of remixes a vantage point was assumed and we waited for the performance to begin. A 10pm curfew incurred by the management meant that IQ would be starting at 7.30pm prompt and prompt they were. At 7.30pm on the dot with the familiar drones of electronica and the dimming of house lights the waiting crowd stood to attention. Images of 30 years history of the band were projected onto the three screens counting down from 1981 to the present before the band launched into ‘Eloko Bell Neechi’ quickly followed by ‘Outer Limits’. It was at this point that the crew’s contribution to the show became apparent. The keyboards could be heard clearly. Something that, in my honest opinion, had not been experienced at previous IQ gigs in the past. This was more than just a celebration; this was a showcase of songs for the ardent of IQ fans. A full set list can be found below. Peter Nicholls, forever the showman, managed the hecklers and quelled the lulls of Mike Holmes’ disappearances during his toilet breaks. Tim Esau. A welcome return. Neil Durant certainly showed his worth throughout the whole performance. A worthy inclusion to IQ, Neil’s style, competency and enthusiasm lifted IQ’s performance to another level. The welcome return of Tim Esau also gave a special feel to the proceedings given that it was a thirty years celebration and he was there at the very beginning. It is very difficult to pick out high points as the whole show was rich with IQ heritage and all the fan’s favourites were played. However, The Darkest Hour, Guiding Light and Born Brilliant were played exceptionally well. Closer from the frequency album seemed to have greater clarity for some reason, indeed all of the songs played from Frequency were crisper and more enjoyable than previous performances. It was good to hear songs like ‘War Heroes’ and ‘Stomach of an Animal’ played, rare indeed. The latter actually closing the show as part of the encores. Neil Durant earned his spurs on songs like ‘Guiding Light’ where his piano sounded deep and crisp with synth lines that demonstrated his vibrant dexterity. Whilst down in the engine room Paul Cook played his drums like a man inspired. Mike Holmes. A man on fire! Mike Holmes, well, he was Mike Holmes. He played the whole gig like he was on fire. Fans expect such vigour and vitality from him and they were not disappointed. Mike’s passion for performing live comes through in his playing which although can never be described as pedestrian moves into hyper drive in a live setting. Peter Nicholls. Simply the best! Closing the main part of the show was ‘The Enemy Smacks’ which was without doubt the best performance of it that I have seen and heard. I was a little concerned about one of the band member’s children seeing scary saw-like images projected behind the band but Peter Nicholls’ performance was in a league of its own. After the usual applause and slow hand clap the band returned to play ‘About Lake 5’, ‘Awake’ and ‘Nervous’ with Status Quo’s or should I say I-Quo’s ‘Caroline’ in the middle and concluding with the afore mentioned ‘Stomach of an Animal’ from the ‘Nine in a Pond is Here’ album. Joined on stage by two of their entourage Pete Nicholls was presented with a 30th birthday cake whilst the party atmosphere was augmented by lots of balloons being punched around by the audience. I, for one, was pleased to be a part of the celebrations and really glad that I made the journey to Leamington Spa. It really was a very special evening and one to be remembered. All the stops had been pulled out by both the band and the fans. This was evident by the attendance. I started an email thread the following day on ARFM’s Soundscapes show ending with ‘IQ, probably the best prog band in the world’. After a performance like this, there is no probably about it. We have it on very good authority that The wake was about to be played when it was thought best not to break the imposed curfew. I am relieved that some bands don’t feel the need to put their feet harder down on the metal pedal to become known as a neo-prog act. I am very pleased to inform you that Mog are one such band and recorded an album that melts traditional prog ethos with interesting rhythms and lovable madness. Drawing on their considerable experience gained with various bands from the late seventies and eighties , founder members Phil Swinburne and Lewy Richardson have created something very special to listen to. It is very uplifting to see a band putting theatre back into music. Having witnessed Mog playing Jack The Vicar live I thought it would never lend itself to hard copy due to it’s theatrical production values. I am pleased to inform all how wrong I was. From the very outset of the album sensibly entitled “Jack, The Beginning” the journey twists turns never leaving time for boredom to set in. “Big House” is shear joy to listen to with a bass line to die for. Indeed Gavin Bell’s bass playing throughout is rock solid and not for the faint of heart. Giving way to a chapter of the story representing Jack the Vicar’s disillusionment with war and all that goes with it “Glory War” and “War Boy” move the band into an area usually frequented by Roger Waters. There are so many musical styles present throughout “Jack The Vicar”. You can hear traces of the damned and U2 as well as the usual prog suspects. Yes, it really is that varied. I praise the album for not being over polished and truthful. Mog have to be commended for spurning false dialect in place of originality in much the same way that The Proclaimers did all those years ago. Holding true to their Northern roots, Mog enlisted the narration skills of Mick Crannage which adds another dimension to the delivery of the tale. It would have been very easy to have found a Richard Burton sound alike but in my view the honest earthy approach simply works a treat again making the whole project more original. Mick Crannage’s Northern pronouncement gives way to “The Awakening” finding Mog in a more tribal groove. After such an outing with heavy electronic percussion and almost chant the pace was lessened to make way for what is possibly the best song on the album “Mother Midnight”. On first hearing this lilting ballad the listener could be forgiven for thinking Moby had teamed up with Gerry and the pacemakers. We are informed that Mother Midnight was indeed a witch dating back to the seventeen or eighteen hundreds. All very relevant we assure you. Hopefully we can be more clear about this when we track the boys down and get chance to interrogate them about the whole thing so watch this space. This song is far too short for our liking. The title song is a great jaunty, music hall stomp of a piece and does justice to the albums title and concept. It is fun and light hearted adding just a little humour to the proceedings. “The Emperor” Slows things down a tad just in time for a suitable finale in “Kingdoms End” which is a suitably rousing end to a modern takes on a Victorian adventure. There is a lot of what used to be called music hall on this album. The songs are strong and very memorable. “Jack The Vicar” is an album of songs best listen to in their entirety and not in solitude. What the hell it’s all about is anyone’s guess. As soon as we find out we’ll let you know. In the meantime though, my suggestion would be to click on to Itunes and treat yourself. It’s ridiculous that you could download the whole album for less than the price of a couple of pints. Mog are in the studio working on their next album as we speak. If it’s half as good as this one you’ll find it at The Progmeister house. Check them out. Something soon is a dark and mysterious album by Alistair Murphy aka “The Curator”. Due to him working as the curator of a museum in Cromer. This isn’t an album that you would play at a soiree or indeed find uplifting. It seems to have Noel Coward quirkiness about it not unlike caravan or Quantum Jump’s “The Séance”. I found my time with my time with this album to be very mood driven. Much of the quality pieces give the feel of improvisational and experimental. The downbeat dream sequences are very dark indeed in some cases totally contrasted by Steve Bingham’s chirpy violin and viola playing. The production quality on the whole is excellent. I would council anyone looking for something a bit different to listen to, seek out a copy of Something Soon. I would advise however, that the more freeform pieces such as “Stuck In Traffic” and “On The Spanish Main” be listened to having first digested the more formal compositions. There are some great vocal harmonies courtesy of a host of angelically voiced ladies including the very talented Judy Dible Julianne Regan and Lindsey Mackie. There are some eerie sax meanderings by Laurie A’Court and all underpinned by the solid bass lines ably executed by mark Fletcher. Jazz meets prog! Alistair Murphy has succeeded in creating a neutral canvas for his talented cohorts and himself to paint upon. I can see King Crimson fans going for this album in a big way. Like many pieces of fine art it takes a little time to appreciate and given a little credence will reward with enjoyment and appreciation. Hard to believe that when I received the promotional blurb along with a demo copy of this album that I nearly dismissed it out of hand. When I read that the album is about Jessica, Jeff Green’s still born baby daughter I wrongly misjudged the album suspecting that it would be a gloomy and/or sad acoustic guitar and vocal message of grief. Placing the disc into my CD player I turned up the volume and walked away to go about my business. As the first drones of the opening piece “For The Future” filled the room I was compelled to return to my seat and there I stayed until the whole album had finished. Make no mistake; this is high octane prog and not at all what I was expecting. A lot of care and attention has gone into this album. Even the intro gives the impression that you are listening to a vinyl record by the cunning inclusion surface noise at the beginning and the atmosphere and pace being set out from the very start in a captivating soundscape. It isn’t long before Jeff’s guitar breaks the mood and moves the piece forward to a full and varied production which for me ticked all the boxes. Following the rather brilliant opening piece is “Vision”. An all too brief acoustic guitar bringing down the scale and pace and showcasing Jeff’s ability and delicate touch with purity and feel following the soaring electric guitar textures demonstrated thus far. “On This Night” finds Jeff in fine voice singing a song that wouldn’t be out of place on Pink Floyd’s Animal’s album. David Gilmour is sited as an influence and you can hear it in this powerful yet bitter song. Jeff Green manages to apply an edge to the music when needed without falling into the Neo-prog/heavy category. Mike Stobbie’s Mini moog and keyboards in general lift this song even further into a class of it’s own along with Pete Riley’s wicked drums. With little pause for breath “Willing The Clouds Away” gives the impression of being born from a jam session. Mike Stobbie’s keyboards yet again make this piece very special indeed. Mellotron, Hammond and string sounds with a real Mini Moog (and yes, you can tell the difference) display a standard rarely set these days and one would be forgiven for thinking that a young Rick Wakeman had stepped into the room. Shear bliss. Bringing the pace down a little, Jeff uses a sumptuous sounding twelve string acoustic to represent “Pride”. I found this lilting, self autonomous song in Camel territory reminding me so much of their “Harbour Of Tears” album. The gentle vocal so deftly delivered lays bare the feeling of pride tinged with frustration. Phil Aldridge’s piano bridge “Essence” takes the listener into a finely honed masterpiece that is “Woman With Child”. This is a tour de force with both Mike Stobbie and Phil Aldridge filling out an already huge sound. All the magic of prog is here along with exemplary playing and production. “Being” finds Jeff along with Illegal Eagle cohort Phil Aldridge further invoking the “Harbour Of Tears” mood before moving into “Jessie’s Theme”. As you would imagine, a great deal of care has been taken in the construction of this piece. You would be forgiven for thinking it was Larry Carlton playing guitar on this diamond of a track. Glen Sissons bass is solid all the way through it and turns even more so towards the end were there are some deep and sinister sounds going on courtesy of Jeff’s guitar synth and some great Mellotron sounds. The use of guitar synth is carried into the next piece “Tomorrow Never Came”. Yet another powerful and mind blowing representation of anger and loss. The message certainly gets across with this incising and instantly memorable song. The passion in Jeff Green’s guitar playing here in its many forms and textures is tantamount to wearing his heart on his sleeve. He fully conveys his inner turmoil with the tools of his trade. Beginning with the delicate beauty of acoustic guitar and flute patch “Prittlewell Chase” lures you into a false sense of security before the Paul Hardcastle button is pushed and Jeff returns swiftly to do what he does best which is making the hairs on your neck stand to attention. Nice to hear a clavinet sound too. Arriving at the concluding “Live Forever” which is not only a personal message and channeling of emotions, I was compelled to believe that the whole album was not only a personal journey for Jeff Green but a lesson to many in what makes a prog album truly great? By recording Jessica with some of the best musicians in the business Jeff has demonstrated that he is not only capable of venting his demons and coming to terms with the tragic loss of his daughter Jessica through his musical talent and skill, he has also taken on the mantle of master craftsman. In my opinion Jessica is without doubt the best prog album I have had the pleasure of reviewing for a long time and sets a new gold standard. In conclusion, Jessica is beautifully packaged with elaborate sleeve notes explaining the full story of Jessica as well as a superbly presented six page booklet which makes the CD a little more attractive than the download option. All proceeds from the sale of this album will be donated to the bereavement room at Southend General Hospital. If you only buy one album this year then make this prog master class the one. For more information or to buy a copy of the album go to…. Leap day seem to be a band that we have developed a soft spot for. So when we received a copy of their new album Skylge’s Lair for review we were very keen to listen to it. Very little information was sent along side the album by way of promotional blurb etc so a cyber-interrogation was sent to Eddie Mulder Leap Day’s guitarist extraordinaire who promptly furnished us with everything we wanted to know. It is worth mentioning before we go any further, That the informed and enlightened amongst us know that in modern term when referring to Hammonds, Moog’s, and Mellotron’s etc we are for the best part referring to the more than faithful digital reproduction of such instruments. This is a matter of convenience and a way of utilizing the sounds of such classic and now expensive semi obsolete equipment. On receipt of this album I was struck by the packaging and artwork. It really is first class and caught my imagination immediately. The six page booklet really does its job invoking mood and feeling of the individual pieces included on the album. The images imply a story or concept to the album discounted by Eddie Mulder who assures me that all are individual compositions. 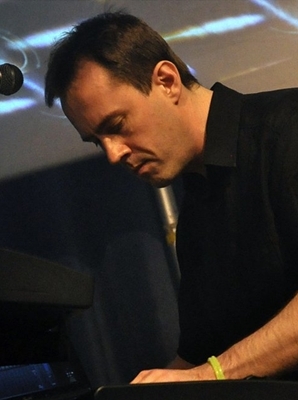 The title of the album was inspired by keyboard player Gert Van Engelenburg's family holiday on a small island called Terschelling to the North of Holland. The Frisian name for the island is Skylge. There are many coves and small inlets invoking the idea of a lair so beautifully captured on the front cover image of the booklet. Down to the business. Gert Evert Waalkens made a great job of overseeing the production of this album. His use of sound effects certainly loaned a feel to the proceedings. “The Messenger” catapults you from the standing start of opening sound effects straight into the main theme of the album. Not wishing to dwell on nostalgia too much I do feel that Mulder and Engelenburg have a Latimer/Bardens synergy which is apparent all the way through this album. Jos Harteveld’s vocals are always enthusiastic and manage to deliver the lyrics with a commendable clarity despite his sometimes Dutch enunciation of certain words. After a while it becomes a signature of the bands overall sound. Hey, I can’t speak a word in Dutch let alone sing an album full of songs so who am I to judge. On “Road To Yourself” the blues button was pressed to create a musical complaint about how we men are often made to feel by our partners. There are some lovely Hammond sounds in this track and brings about a different side to the band. I must admit to selling this album short when I first listened to it and made the age old mistake of constantly comparing it to the bands previous release. However, on a more informed basis and more than one listen this album transcends the bands previous achievement. “Home At Last” is probably my favourite track on the whole of the album. Leaning towards the Canterbury prog ism this song begins with a somehow medieval feel about it. What makes a relatively intelligent man think that in medieval times people broadcast their music to the masses using banks of electronic keyboards and electric guitars is beyond me but I do! I did the same many years ago with “Bedside manners are extra” by Greenslade. This song really did tick all the boxes for me and had I heard this track on the radio I would have bought the album on the strength of it. Gert V Engelenburg’s superb keyboard work and his ability to choose just the right voicing’s steer this band well away from the European cottage industry of Prog to another level. “Humble Origin” begins with a peaceful acoustic guitar/Mellotron intro and steers back to the main theme. It moves too rapidly into the next song “Walls”, without doubt the most powerful and emotional excerpt to the whole journey. It was nice to hear the crisp piano patch of the now sadly under used Yamaha electric grand which brought a freshness and clarity to the piece. Leading wistfully into Jos Harteveld’s The Willow Tree” which did at times remind me of “Secret Gardner from the bands previous album “Awakening The Muse”. This nicely crafted song brought down the pace for a short while and demonstrated a lighter approach. Title track “Skylge’s Lair” builds upon the tracks that went before it. It is testament to the whole band that they got the running order of all the tracks just right and putting this song pen ultimately was definitely the right thing to do. Had it been the concluding piece I think it may have lost its impetus. 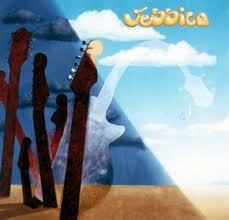 Guitars and keyboards put this instrumental piece firmly in the Camel area of prog and will blow yer socks off. The rhythm section did an excellent job on this piece and added to the flavour of the afore mentioned influence by what sounds like a fretless bass courtesy of Peter Stel and blinding drums by Koen Roozen. The finale to this excellent album comes in the form of “Time passing By” which brings a very human element to the whole proceedings. This song seems to lend a semi-folk ethos despite residing within a technologically driven recording. There are many elements to what we call prog these days and they are all here from caravan to Jethro Tull. All in all I found the whole of Skylge’s Lair a compelling listen and one that I will keep enjoying for a while to come. As time goes by and all of our dreams fade to dust, there should always be someone left in my opinion to carry forward the musical lantern onto the next generation. 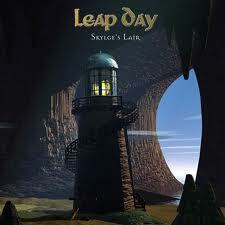 Skylge’s Lair is one of those albums which do just that and Leap day are the band to keep a fast diminishing flame burning. Hats off to them. I wonder what it would take to get them to play at the next Progmeister festival? A Grounding in Numbers. 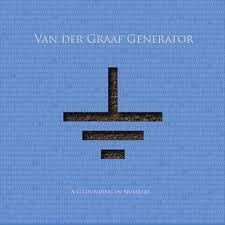 Van der Graaf Generator. The album opens with Your time starts now, a slow paced song dealing with the notion that the older you get the faster the years pass and that if you want to do something, do it now as your time is running out. Next up is Mathematics, offering a typically obscure VdGG paying homage to the equation or so it seems. This song features the very catchy chorus which goes ''e to the power of i times pi plus one is zero, e to the power of i times pi is minus one'' this is the stuff only Hammill and Co can get away with. I personally cant wait to see this song performed at the X Factor - Prog Covers week lol. Highly Strung is a rockier song which brings Rikki Nadir straight back to mind. If the song is autobiographicall it shows Peter Hammill as a much more manic character than he would have us believe. Excellent stuff indeed. Red Baron is a sort of ambient drum instrumental. A strange as it sounds it is a very enjoyable link to the next track and my favourite track on the album Bunsho in which Hammill sings about how an artist can produce his finest work (in his mind) and have his public slate it as second rate while on the other side of the coin, feels his audience adored work he personally thinks is sub standard. This song features some lovely languid guitar work, and is all the more powerful for it. Snake Oil follows in this number VdGG rally against an artists need to constantly repeat a winning formula in an effort keep their audience sweet. This track is classic VdGG condensed into a smaller time slot. The second instrumental of the album comes next. Splink is indeed a strange creature. It's probably the albums weakest link. Then again, if you like slide guitar set against haunted nursery sounding harpsichord this will definately be the one for you. Embarrassing Kid is a bit of a wild one, but it sure grows on you. It's a blend of artrock, powerpop and musical tourettes. It sounds like an embarrassing kid should, disjointed, awkward and maybe even willfull but after a couple of hearings you will understand this kid and love it dearly. A darkness falls over the next track and Medusa places the listener in a gloomy foreboding place. The lyrics are sung eerily over background which spirals then loops back on itself like a moebius strip creating a musical impression of hopelessness. Once your in her lair theres no way out. Quality. 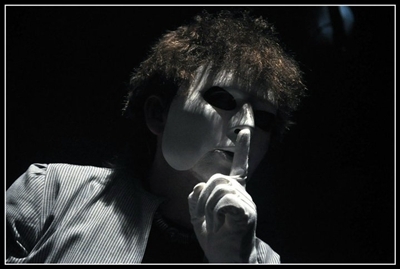 Mr Sands is a theatrical code to warn theatre employees of a fire without frightening the audience. "Mr Sands is in the house" means that fire has broken out in the house. Another highlight of the album this would make a great single with its unusual time signature, catchy chorus and a great vocal to boot. Smoke is a warning to all users of the internet that your history trail can be traced, and if necessary used against you. Its a great track with a dislocated dance/funk groove that reminds me a lot of David Bowie's 1.Outside album. And that's no bad thing! Back to mathematics again and we now have 5533 possibly the most unfathomable track on the album. I havent got a bloody clue what this is about. This aside, its pretty good. The closing track on the album All over the place takes the theme of loss of identity as its subject matter. It's a fairly subdued closer compared to the grandioise statements that have closed previous VdGG albums. It took me several listens to get into the track but patience has paid off. I'd give the album as 4 stars. The album wont be to everyones taste, but look at the album charts in any major record emporium and you will see that taste has almost disappeared.